Kay was born in Thailand and moved to England with her parents when she was 10 years old. Arriving in a new country with a completely different environment, climate and culture – not to mention a different language she knew little of – Kay found it difficult to adjust. A naturally shy girl in any case, her confidence was hit by these changes to her life. She attended St Anne’s Church of England Primary School in Sale for a year before moving on to Sale High School. It was there that she discovered karate. 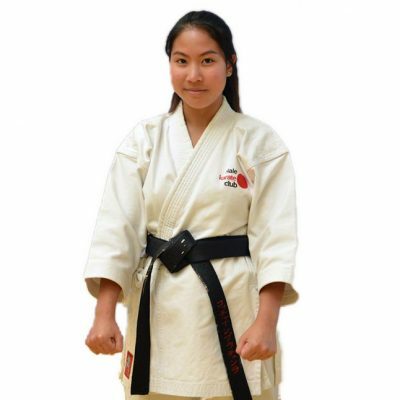 She began attending weekly beginners karate training sessions run by Martin at the school and found her confidence and self-belief growing as she pushed herself in training. Kay credits her success in karate with transforming all areas of her life. She is studying for a sports degree at Salford University as well as training 4 times a week in karate.